We do not automatically gather any personal information from you, such as your name, telephone number, e-mail or address. This information is obtained only when you complete and Submit our 'Contact Us' form. Any personal information you do provide is protected under the federal Privacy Act of Canada. Upon request, an individual shall be informed of the existence, use, and disclosure of his or her personal information, and shall be given access to that information. 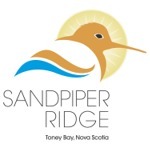 Visitor information is not disclosed to anyone except Sandpiper Ridge personnel who need the information to respond to a request. We do not provide any information about you - your name, mailing addresses, postal codes, e-mail address or any other personal or identifying information to any third party, except as required by law. Personal information shall be retained only as long as necessary for the fulfillment of those purposes. We collect information through our Hosting Provider regarding traffic to our site. This statistical analysis does not give us information on individual visitors, nor can it be traced to a specific user. We do not use "cookies" to track how our visitors use the site.